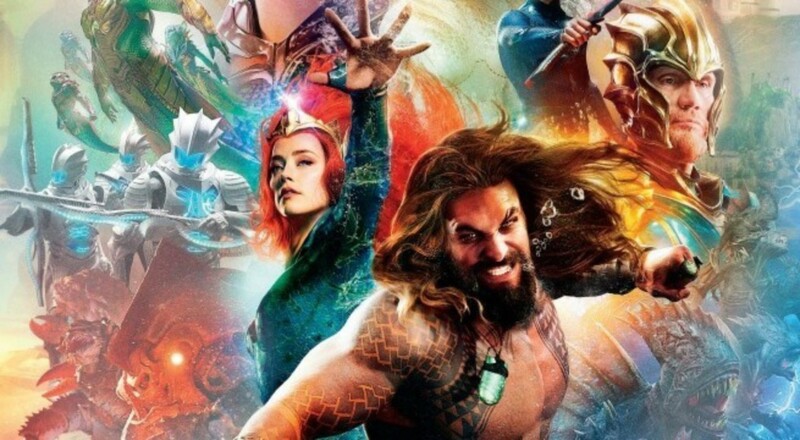 The biggest panel of the week is finally here, and as promised Warner Bros. has revealed the first trailer for Aquaman! They better because star Jason Momoa has been guaranteeing we'd see it. The trailer is action packed, but what surprised me most was how it felt like epic sci-fi, so different from the typical superhero story. We see a really cool shot of Aquaman facing Black Manta, who unleashes some killer death rays from that helmet of his. Again, this is Warner Bros. changing their tune in a big way, and I love what they're doing. Directed by James Wan, Aquaman opens December 21st and co-stars Amber Heard as Mera, Willem Dafoe as Vulko, Patrick Wilson as Orm/Ocean Master, Dolph Lundgren as Nereus, Yahya Abdul-Mateen II as the vengeful Black Manta, and Nicole Kidman as Arthur’s mom, Atlanna.